Other considerations would also problematize the legalization of the responsibility to protect. If the responsibility to protect were to be enshrined in international law, it would create legal contradictions. The UN Charter’s purpose was to limit the legitimate pretexts for states to engage war to either self-defense or collective security. Therefore, the Charter is silent on the question whether states can use military force to address a humanitarian crisis occurring in another sovereign state.27 By enshrining the responsibility to protect in international law, it would remove the Charter’s silence on the use of military force for humanitarian purposes, but it would go against the Charter’s original purpose, which was to limit the use of force to cases of self-defense and collective security. It would potentially open the floodgates for states to justify the use of force in the guise of humanitarian support. The problem is how to make each step a legal responsibility for states in the international system. Instead of treating the responsibility to protect as a legal concept that should be eventually adopted as international law, it would be more helpful to treat it as a catalyst for further action by the international community to create legal instruments that bind states to specific responsibilities under the umbrella concept of the responsibility to protect. The responsibility to protect received unanimous adoption at the 2005 UN World Summit and was reaffirmed twice by the UN Security Council. By taking this consensus as a beginning, international community can begin to create new and specific legal regimes targeting the crimes specified in the responsibility to protect. This is more useful than adopting a broad and multifaceted concept such as the responsibility to protect as law. The origins of international human rights law provide a great example of how to work on the existing consensus states share on the responsibility to protect. In 1948, the Universal Declaration of Human Rights was adopted unanimously by the United Nations General Assembly, where member states committed themselves and their people to secure the recognition and observance of the human rights specified in the Declaration. Importantly, the Declaration was a declaration and not a treaty, which meant that it was not a legally binding document, though it is generally accepted as customary international law given its unanimous passage. However, the takeaway point is that while the Declaration did not legally bind states to implement policies that respect, protect and fulfill human rights, it became a starting point for contemporary human rights regimes by triggering the creation of various United Nations and regional human rights covenants and international treaties which were legally binding. The Declaration was the foundation for two UN human rights covenants, the 1966 International Covenant on Civil and Political Rights, and the 1966 International Covenant on Economic, Social and Cultural Rights. Other international treaties inspired from the Declaration include: the 1965 International Convention on the Elimination of All Forms of Racial Discrimination, the 1979 Convention on the Elimination of All Forms of Discrimination Against Women, the 1984 Convention Against Torture and Other Cruel, Inhuman, or Degrading Treatment or Punishment, the 1989 Convention of the Rights of the Child, and the 1990 International Convention on the Protection of the Rights of all Migrant Workers and the Members of their Families. The Declaration has also spurred the adoption of three regional human rights conventions, namely the 1950 European Convention for the Protection of Human Rights and Fundamental Freedoms, the 1969 American Convention on Human Rights, and the 1981 African Charter on Human and Peoples Rights. A better way to enshrine the international community’s aspirations to protect civilians from the four crimes: genocide, war crimes, crimes against humanity and ethnic cleansing is to generate specific treaties that prevent and punish these crimes. Genocide has been outlawed with the passage of the Universal Declaration of Human Rights and the Convention on the Prevention and Punishment of the Crime of Genocide in 1948. Similarly, war crimes, crimes against humanity and ethnic cleansing should deserve their own treaties that prevent and punish any person, group or government that commit these crimes. Based on the existing body of international law today, while states have the moral imperative, they do not have the legal duty to take action against a state that has failed to uphold its responsibility to protect its citizens. The documents which “responsibility to protect” is based on are not considered authoritative sources of international law. Therefore, even if states agree to the concept, it does not mean there exists a corresponding legal obligation to fulfill the responsibility to protect. Furthermore, the argument to use force collectively by the international community against violators of human rights law is weak. It appears that the international community intended for engagement to be voluntary and evaluated on a case-by-case basis. Finally, even if states decide not to fulfill their responsibility and do not take action against violators, they are not sanctioned or punished for noncompliance. While enshrining the responsibility to protect in international law seems like an easy remedy to the lack of legal obligation on states to take action, it could potentially destabilize the international system by undermining the norm of state sovereignty. Sovereignty has guided how states interact with each other for the past four centuries since the Peace of Westphalia. BRICS’ reluctance to support the responsibility to protect in the case of Libya demonstrates a legitimate concern about upholding state sovereignty when considering the long-run stability of the international system. While the responsibility to protect is a morally appealing concept, it should not be enshrined in international law because the benefits of having the responsibility to protect as an international law do not outweigh its relative costs. In the short run, we may reduce the level of civilian casualties in humanitarian conflicts. However, in the long run, more deaths could result due to the potential instability generated by the weakened norm of state sovereignty, which make interventions more likely and common. Even more significantly, accepting the weakened form of state sovereignty under the responsibility to protect will fundamentally alter the way states interact each other. States can no longer be legally equal peers if the sovereignty of some states is less respected than others. Ban Ki-moon, Implementing the Responsibility to Protect: Report of the Secretary-General, A/63/677, January 12, 2009. Exec. Order No. PSD-10 (2011). Stahn, Carsten. “Responsibility to Protect: Political Rhetoric or Emerging Legal Norm?” The American Society of International Law 101.1 (2007): 117. Statute of the International Court of Justice, art. 38, para. 1. Bellamy, Alex J. “The Responsibility to Protect Five Years On.” Ethics & International Affairs 24.2 (2010): 149. U.N. Charter, art. 2, para. 4. Ban Ki-moon, Responsibility to Protect Faces Urgent Test ‘Here and Now’: Report of the Secretary-General, GA/11271, September 5, 2012. “Libya: Governments Should Demand End to Unlawful Killings.” Human Rights Watch. 20 Feb. 2011. Web. http://www.hrw.org/en/news/2011/02/20/libya-governments-should-demand-end-unlawful-killings>. U.N. Security Council, 6491st Meeting. “Resolution 1970 (2011) [Peace and security in Africa]” (S/RES/1970). 26 February 2011. U.N. Security Council, 6498th Meeting. “Resolution 1973 (2011) [The situation in Libya]” (S/RES/1973). 17 March 2011. Secretary-General. Department of Public Information. Secretary-General Says Security Council Action on Libya Affirms International Community’s Determination to Protect Civilians From Own Government’s Violence. United Nations Meetings Coverage & Press Releases. 17 Mar. 2011. Web. http://www.un.org/News/Press/docs/2011/sgsm13454.doc.htm. Patrick, Stewart. “Libya and the Future of Humanitarian Intervention: How Qaddafi’s Fall Vindicated Obama and RtoP.” Foreign Affairs. 25 Aug. 2011. Web. www.foreignaffairs.com/articles/68233/stewart-patrick/libya-and-thefuture-of-humanitarian-intervention?page=show. Bolopion, Philippe. “After Libya, the Question: To Protect or Depose?” Los Angeles Times. 25 Aug. 2011. Web http://articles.latimes.com/2011/aug/25/opinion/la-oe-bolopion-libya-responsibility-t20110825. Snyman, Henning. “A Reflection on South Africa’s Engagements with the Middle East and North Africa.” South African Institute of International Affairs. 26 July 2011. Web. http://www.saiia.org.za/feature/a-reflection-on-southafrica-s-engagements-with-the-middle-east-and-north-africa.html. Pidd, Helen. “Nato Rejects Russian Claims of Libya Mission Creep.” 15 Apr. 2011. Web. http://www.guardian.co.uk/ world/2011/apr/15/nato-libya-rasmussen-medvedev-criticism. Wilkins, Brett. 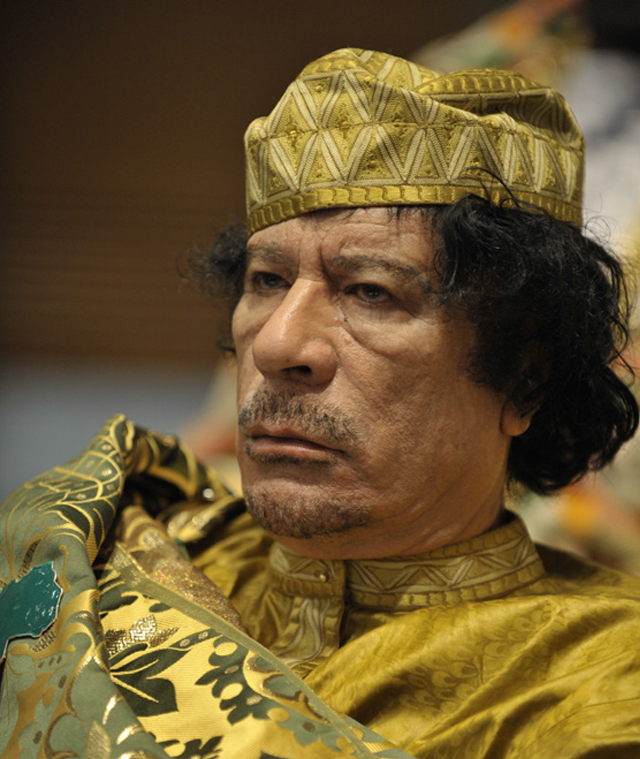 “China, India, Russia & Turkey Among Nations Critical of Attack on Libya.” Web log post. Moral Low Ground. 21 Mar. 2011. Web. .
Ayoob, Mohammed. “Humanitarian Intervention and State Sovereignty.” The International Journal of Human Rights 6.1 (2002): 81-102. Welsh, Jennifer. “Implementing the “Responsibility to Protect”” Oxford Institute for Ethics, Law and Armed Conflict 1(2009): 2.